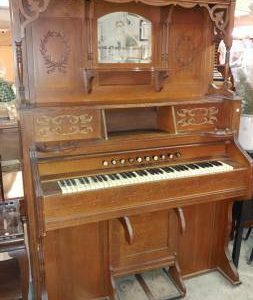 Antique Pump Organ – Estey Organ Co. VT – Oak – Beautiful! Great Condition – work very well – does have a hum in the sound – we don’t know how to operate this well. Wow you will love this!